After a little over a decade, the fruits of Greece’s Zinovia Arvanitidi have finally bore for us all to consume. Offering a different perspective to the wealth of talent on the scene, it’s nice to see someone not pandering too much to the mass influx of IDM that we have been bombarded with of late. Like awakening from a long sleep, only to wander outside into the desolate ruins of what once was, is ‘The Blue Shade of Dawn Covered Your Skin’, with it’s evocative piano and soaring pads your only companion. 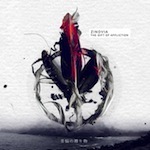 Following on from this, ‘Communicating Vessels’ leans on light Jazz elements with its keystrokes and off kilter beat. ‘Chimera’ follows immediately on from where this left off, only to add further elements as it progresses, such as the harmonic vocals I had been eager to hear and expected earlier on the first two tracks. Given that this was an expectation of mine, this is a clever move to introduce this further into the proceedings, as my initial preconceptions would be that Zinovia’s voice would take precedence over everything before hitting play. ‘The Gift of Affliction’ is a steady, well-conceived album that requires a specific mind-set before pressing play. It’s obligatory that the listener is in a relaxed mood, with their aural requirement being that of needing their senses massaged as opposed to pummelled; and this 9 tracker will then oblige at every level. For those expecting a varying amount of styles, they will be sorely disappointed. This is by no means a criticism, just that things don’t change much musically throughout the course of the release; but there is still it’s fair share of drama along the way and without straying thematically from the course set, is actually one of this debut’s many strong points. Compositionally speaking, it’s clear that Arvanitidi is well schooled in music theory and this is also one of her key strengths; that whilst this album may not be everyone’s cup of tea this is clearly aimed at a more adult audience. I would have appreciated more of her vocal talents, but that’s more of a personal preference than a jibe at what has been produced; and given the amount of attention to detail with specific harmonics and general knowledge as to what’s right on the ear deserves kudos in itself. Here we have the companion disc to Jamie Blacker’s ‘Themes of Carnal Empowerment Pt.1: LUST’. As a direct follow on, this latest instalment has a lot to live up to and starts off impressively with a blend of Dark Ambient, crossover classical Industrial themes and operatic vocals; altogether, a wonderfully constructed opening soundtrack for what is to come. Blended into the closing stages of track one is ‘I Know Your Wounds’, providing a straight forward dirty Industrial, club friendly, gutturally beat driven mass of swirling blackness. The following tracks, ‘The Heart is Marked’ and ‘Breathing Through’, follow the same linear path as their predecessor and whilst being technically sound (and an absolute pleasure to play back to back whilst travelling), collectively they could have been the same track, albeit extended, with little to differentiate between them sound wise. ‘The Shape of Hate to Come’ provides a slight shift in the journey where scattered electronics slice through the mix, providing a much needed variant on what has come before, with the tribal beats of ‘Devious Words’ weaving between the stabbing patterns of sound. The title track brings the pace down a notch allowing the glorious operatic vocals to rise through the mix, accompanied with sublime pad work, providing one of Blacker’s finest moments to be committed to release thus far, with the next two songs following in a similar vein. The bizarrely titled ‘While You Sleep I Converse With The Dark Birds’, drags us into the arcane with an Eastern promise of far off mystical lands, providing Jamie the stage to let loose on his vocal crooning; it’s effective and well thought out. 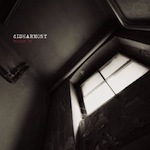 As the closing stages of the overtly Industrial ‘Confudere’ resonate out of the speakers, reflecting on this latest album shows a release broken into stages that for me show different frames of mind within their approach. Overall, this is a solid collection of tracks and one that ESA should be proud of, but just missing out on the variation and many highs that it’s predecessor bore to the world (such as the immense ‘This is Not Love’). Time will tell if this is Blacker’s swansong under this banner (as he has indicated to in the past), but I still feel he has more to offer this scene, with this album still outshining many of his peers in the process. A lot of noise is currently being made in the press about Canada’s Comaduster and rightly so. For a debut album, ‘Hollow Worlds’ smacks of brilliance throughout its 10 varied and emotive collection of tracks. Opener, ‘Ma’ claws at the face, pad wise with a sound that scrapes and draws the ears into submission as clinically precise rhythmical structures rivalling the works of Hecq, punch you proverbially in the teeth, with a production that is simply second to none. Thematically following suit, ‘Winter Eyes’ adds further dimensions to the near edge of collapsing sounds, with layered and treated vocals and airy emphatic pads; nearing greatness with these two opening numbers alone it’s staggering to wonder which rock this act has been hiding under for so long. ‘The Send Off’, displays so many genres melded together, it’s nearly impossible keep up whilst counting them on your fingers. Vocally proficient with immense range whilst dancing electronica floats over crushing beats, a filtered mesh of Industrial meets symphonic metal structuring and punishing dub-step; I am absolutely flabbergasted. There’s simply far too much to take in on one listen with ‘Hollow Worlds’. This really isn’t an issue, as undoubtedly the majority who will hear this will most likely hit play as soon as the wonderful ‘Connecting the Seams’ draws to a close. 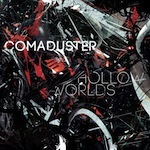 Comaduster provides a melting pot where all influences are collected genre wise, torn apart and reconstructed into a mash-up of IDM, Electronica, Dark Ambient, EDM, Industrial and Rock, that is pieced together as would any self respecting composer, in an almost verse/chorus/verse fashion; the end result is a collection of actual songs, rather than just random noises. Clearly destined for better things, I take my hat off to this artist for providing probably one of the best albums I have heard this year, maybe in the last couple of years if truth-be-told; and I am struggling not to give it a straight 10/10 (nothings perfect though). Ten years and five albums later, Frank Mokros the man behind Synth-Etik brings us ‘Digital Exorcist’. I have to admit that his debut ‘At the Train Station on a Saturday Evening’, is still my favourite piece of work from what now appears to be his main project, so as always I look to see if his latest output can top that. 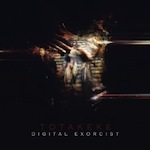 Opening up with ‘Digital Exorcism (It All seemed Harmless)’, the subtle electronics are melded well in a sound that is altogether Totakeke in style. Moderately paced soundscapes give way to earthy electronic beats, frenetic wiry stabs and sharp programming that slice through the speakers; altogether an impressive start. This latest album is meant to be consumed as a whole and the seamless interaction between the songs portray this notion well. ‘Virtual Intelligence’ provides a more upbeat platform with modern dance electro sensibilities where spots of digital interference pitter-patter amongst skipping pads and purposeful fluttering rhythms; which are further capitalised upon with the distorted beat of the manic, ‘Abomination’. ‘Digital Exorcist’, once again is another professional and engaging release, further adding weight to the relevance of this project. 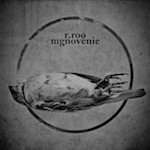 Writhing with an emotional tension that carries across all of Mokros’ albums this is an excellent piece of work, although I am still searching for the essential ingredient that placed me in a particular space in time, as did his debut. I will openly admit that in the grand scheme of things I don’t really listen to the genre of music that Disharmony are tied in with anymore, indeed I haven’t for many years. This Slovakian duo does make a good stab at it though, more so than many within their particular umbrella of electronic industrial, teetering on the edges of soundtrack bliss, as their opening gambit, the gloriously emotive title track attests to. What does set Disharmony apart from others are their dynamics firmly set within simplicity. Musically pleasing their blended electronics and key arrangements settle well on the ear in an opening-verse-chorus-verse-chorus-closer way and most of the tracks follow the same formula throughout providing both stability and listen ability. There is something undeniably catchy about the majority of the work on this latest album, as with previous output that is endearing throughout. I have to confess, for me the vocals don’t sit well at all, but that’s more down to personal taste than anything else and the evocative synth arrangements make up for all the lyrical rasping alone. All in all, Disharmony have once again made a fine release that bridges two genres together with an innocence and clarity of vision as to what they represent, that should sit well with many a listener. Polish composer Maciej Paszkiewicz provided somewhat a revelation for me when he first appeared out of the woodwork with his amazing debut ‘Return to Childhood’ and then the follow-up and equally excellent ’10:10PM’, such was the professionalism and ear for creative electronics. ‘Indistinct Face’ once again should reap critical praise for this young musician, further adding to the legacy that he is creating for himself. ‘Still On The Border’ opens up the proceedings with a varied tapestry of synths following on from his last release, with an urban construction to the beats that invokes travelling a landscape at night, flowing seamlessly into ‘Three Different Worlds’, with its glorious orchestral intersection mid-way. The title track provides an almost organic feel to the rhythm sections as fluttering harmonies resonate and dance over the top of them, whilst ‘Colorize’ toys with off kilter electronics that border on the unstable and once again proved a different perspective. It’s a necessary variation midway through the album just as some of the songs were beginning to sound a little too familiar, which is going to be my only criticism. ‘Indistinct Face’ without a doubt is a great album nonetheless. The dynamics involved give every element the necessary space to breathe and evolve so you truly get swept away with the pads. Hand on heart I haven’t become as immersed in this release as I have with previous albums, mainly due to the point I touched on before with regards to similarities throughout; either way, once again Paszkiewicz has produced a fine body of work yet again and I whole heartedly recommend you hunt out this latest instalment as well as his previous affairs. Opening up with the beautifully arranged piano work of ‘Vdokh’, it’s not hard to see why so many people wanted this initially digital only release to make it onto CD. Setting a space in silence for the simple acoustics to resonate is the perfect way to open up this pitch black, yet calming affair that is simply characterised by the artwork (which I love). Simplicity is the essential ingredient that moulds this album together. ‘Medlenne’ utilises clean, layered strings and folding programmed beats that are forever stumbling forward without tripping over themselves. The production is second to none giving necessary personal space to each element to capitalise on their individualities and further providing an easy transition on the ear. ‘Mgnovenie’ is a wonderfully bleak album, not necessarily drenched in black, but one that is constructed out of many shades of charcoal. It’s easy to construct visuals to this electro acoustic bliss and mostly that is one steeped in film noir, devoid of colour but no less capturing a degree of brightness and hue amongst the darkness. Okay, there is an underlying similarity amongst the majority of this 14-track opus. The violin sections make their way onto the lion’s share of the songs and whilst some may feel this could be an over used medium, along with the piano are the only voices Roo needs to express himself with. No matter how much he utilises these tools, for me it never stagnates, culminating in one of my better listens so far this year.